Dorothy Diann Veith, 66, passed away Tuesday, August 28, 2018, surrounded by her loving children at home. Diann was preceded in death by her father, Glover L. Williams in 2005 and her mother, Dorothy M. Williams in 2015. She is survived by her sisters, Sherry L. Lowry (Eldon), Leawood, KS, Linda L. Smith, Prairie Village, KS, and Deborah K. Lambert (Jeff), Naples, Florida. She is also survived by her children, Christopher D. Veith (Janelle), Kearney, MO, Kerry D. Veith, Lenexa, KS, Caroline M. Strohm (Jeff), Overland Park, KS and Timothy C. Veith (Erin), Shawnee, KS. Diann was born September 21, 1951 to Dorothy and Glover Williams of Mission Hills, KS. Diann’s childhood home was filled with love, laughter and a viewpoint of the world influenced by the faith that was instilled in her through a Christ-filled home and a loving church. Her parents were founding members of Leawood Baptist Church, where Diann first met Christ and was actively involved in Sunday school, youth group and missions. She attended Prairie Elementary, Indian Hills Middle School, and graduated from Sunset Hills (Pembroke Hill) High school in 1969. Diann attended Kansas State University where she was a loved and adored sorority sister in the Alpha Delta Pi Sorority. She graduated from K-State with a degree in education, class of 1973. Diann was married for 20 years to her former spouse, Douglas Veith. Together they raised four children in Omaha, Nebraska, where they were active leaders in the Bellevue Assemblies of God youth group. Later, the family moved to Kansas City, where they now all reside. The greatest jewel in Diann’s crown in Heaven will be the one she earned as a mother. Diann devoted her life to children, not only her own, but to her grandchildren and the kids at Brookridge Day School where she dedicated 15 years as a teacher and then later as preschool director. She made deep connections with the staff there, so much so that they became like a second family to her. Most recently, her love for her alma mater led her back to K-State where she thoroughly enjoyed the camaraderie as House Mother to Sigma Phi Epsilon Fraternity. It is there that she earned “House Director of the Year” for 2018. Diann’s greatest legacy can be found in the hearts of the children she has impacted. 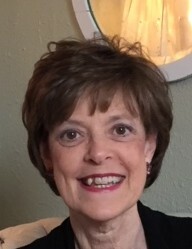 Besides being a sweet sister and a loving mother, Diann was blessed with six grandchildren: Parker, William, Whitaker, Jack, Georgia and Mattila. Diann was devoted to her unwavering faith and her family. She demonstrated an immeasurable amount of strength in the face of pain which was most evident as she came alongside her children through their own personal hardships and later, as she fought her own battle with cancer. She lived her life leading by example, mirroring the love of Jesus, loving the unlovable and instilling worth and value in others. Though her four children will miss her dearly, they are confident and steadfast that the virtues that she instilled in them will live on for generations to come. They will find rest and peace in the knowledge that she’s been made perfect in the presence of her Savior. Visitation will be held on Friday, September 14th from 5:30-7:30pm, followed by a Celebration of Life on Saturday, September 15th at 10:00am at Johnson County Funeral Chapel. Private family Burial at Floral Hills Memorial Gardens. In lieu of flowers, memorial contributions may be made to The Leukemia and Lymphoma Society or to Children’s Mercy Hospital. Both of these organizations are near and dear to the family.